Over the past 25 years, FPB has garnered a reputation for building impressive ocean-crossing motor yachts, but their latest achievement is particularly noteworthy. Yesterday at around 2pm local time, FPB Grey Wolf laid anchor in Panama, completing a 4,000nm Pacific passage, which is believed to be a record for a leisure craft. Grey Wolf managed the trip with an average speed of 9.4 knots despite encountering an unforecast tropical storm. What’s more, the vessel managed an impressive fuel consumption figure of 19.6 litres (5.2 gallons) per hour, meaning that it could have continued for a further 3,400 nautical miles without refuelling. 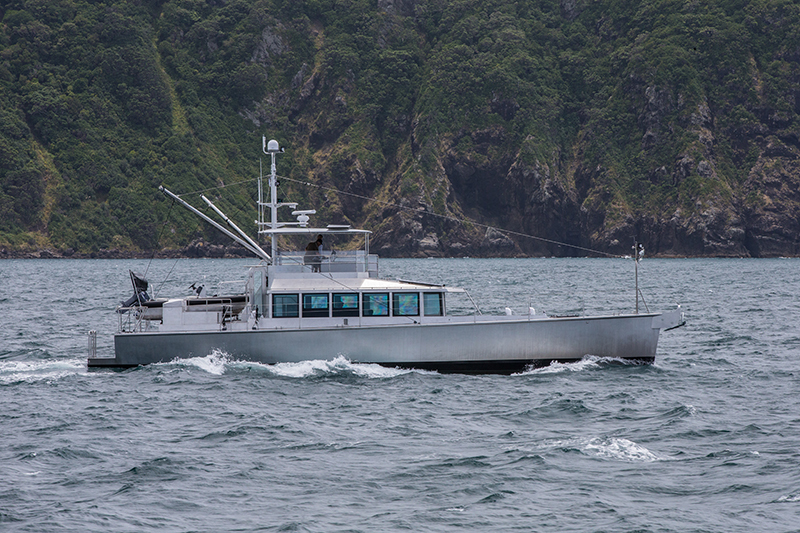 Owner Peter Watson was at the helm for the Pacific crossing, and he will eventually bring Grey Wolf back to his home waters in the UK. “I have had the experience of sailing over the Atlantic a couple of times, but the Pacific is a whole different world,” he said. “Until you cross this ocean you really don’t appreciate how big it is. Crew member Tony Jones praised Grey Wolf on how it handled with the rough seas, giving “impressive directional stability” even in 3m swells. Grey Wolf (below) is the latest model by FPB boat designer Steve Dashew, who cut his teeth on the Deerfoot, Sundeer and Beowulf sailing yacht ranges.